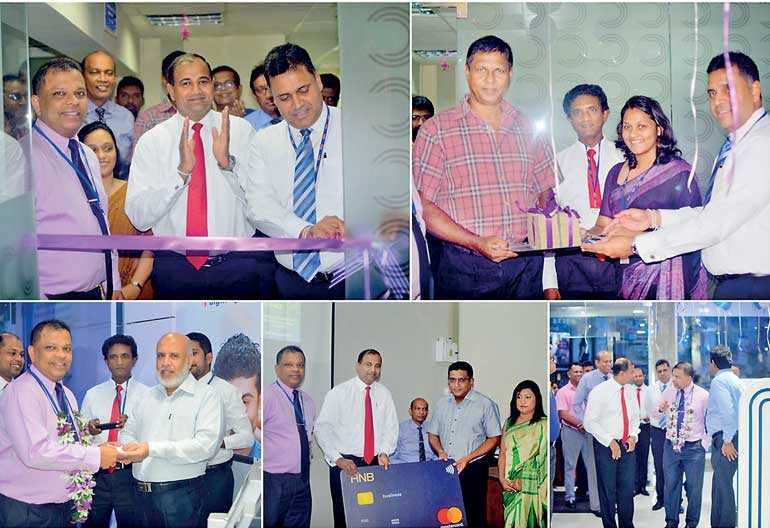 Sri Lanka’s most customer-friendly bank, HNB PLC announced the continued expansion of its extensive Customer Centre network with the launch of a new, fully-automated, Electronic Banking Centre together with a new Priority Circle branch at its Kurunegala customer service centre. Part of a continuing strategy centred on digital innovation and customer service excellence, the launch of HNB’s new Digital Banking Centre is aimed at providing customers with an extensive array of tech-enabled banking products and services, while the new Priority Circle Centre will offer streamlined and highly personalised banking experience catering to the high net-worth clients in the region. Senior management together with several of the bank’s most prominent customers in the region were also in attendance at the launch event. Commenting on the up-scaling of its value proposition in the Kurunegala region, HNB Managing Director/CEO Jonathan Alles said: “In addition to serving as the commercial capital of the North Western Province, Kurunegala is also renowned for well-established industry and enterprise – being home to two of Sri Lanka’s most active graphite mines while also serving as a regional hub for coconut cultivation. In a special segment of the launch ceremony, HNB Business cards were also presented to several of the bank’s top enterprise customers from the Kurunegala region. Designed to empower the country’s most dynamic enterprises with complete digitisation and comprehensive, secure management of organisational transactions, in partnership with Mastercard. The card can be authorised as a substitute to petty cash payments, and is capable of handling any transaction locally and internationally thus enabling high level employees of business entities to conveniently and reliably manage their personal expenses at home or abroad – excluding payment for the import of goods for commercial purposes. Situated at the No. 06 St Anne’s Street Kurunegala, HNB’s state-of-the-art new Electronic Banking Centre will offer a complete range of banking and electronic banking facilities to corporate and retail clients 24 hours a day, seven days a week; including automated cheque deposits, real time transactions, digital account opening facilities and much more. Since making its first appearance on the prestigious Banker Magazine’s list of Top 1,000 banks, HNB has today soared the top of the list among Sri Lankan banks in addition to being recognized as Bank of the Year 2018 and being awarded Best Retail Bank in Sri Lanka for the 10th time at the Asian Banker Awards. HNB also stands as the first local Bank in Sri Lanka to receive an international rating on par with the sovereign from Moody’s Investor Services while maintaining a national long term rating of AA - (lka) from Fitch Ratings Lanka Ltd.